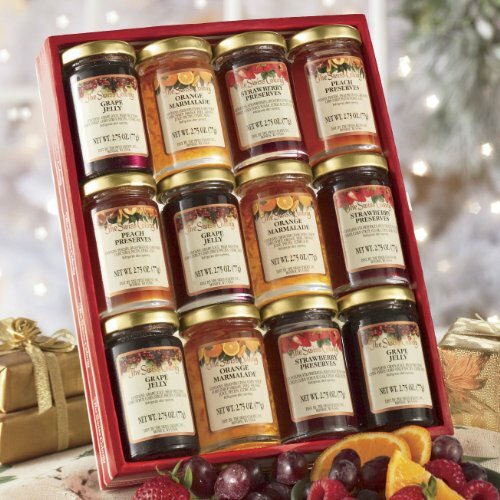 Gift includes four tempting flavors—Strawberry, Orange Marmalade, Peach and Grape. 12 jars, 2 3/4-oz. each. If you have any questions about this product by The Swiss Colony, contact us by completing and submitting the form below. If you are looking for a specif part number, please include it with your message. By Blue Cattle Truck Trading Co.